Congratulations and Welcome to Wood Badge! Wood Badge has been a great experience for me. It has changed my life. It has become a powerful positive change in my scouting, spiritual, professional, and family life. If you come to Wood Badge with an open heart and mind, I know it will be the same for you. 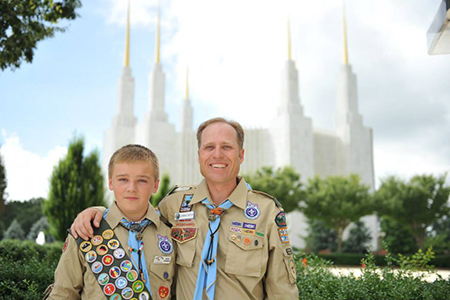 In turn from your experience, it will have a profound change and positive affect not only on your life, but on the lives of our young men and ultimately point them in the way to be worthy priesthood holders, serve missions, obtain temple marriages and enjoy Celestial Families. This Wood Badge course will change lives and generations! My personal number is 435-283-5323 and my cell number is 435-851-7084. My email address is durtschi@woodbadge.us.